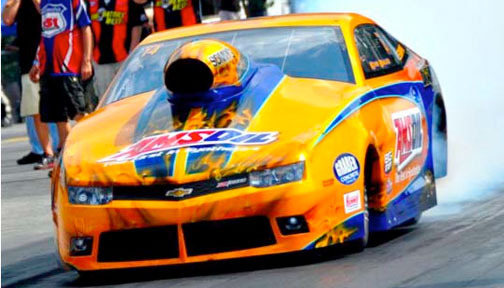 From the start of the chassis to the finished car on the dragstrip, you can win with the very best! All JHRC-built NHRA Top Sportsman Final Round! Line qualified on the pole at the Mopar Mile-High NHRA Nationals in his 2014 Chevrolet Camaro. His number one Pro Stock qualifying effort was a 6.924et at 198.70mph! 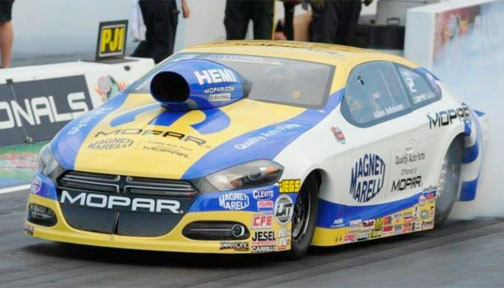 Allen Johnson defeated teammate Jeg Coughlin in Denver, Colorado at the Mopar Mile-High NHRA Nationals Pro Stock final round. Johnson ran a 6.930et at 198.61mph when Coughlin red-lighted at the start. Johnson and Coughlin both drive 2014 Dodge Dart cars! Goforth beat John DeFlorian Jr. in the finals of Pro Stock, running a 6.351 at 221.23 in the winning effort. DeFlorian drove the Black Diamond Motorsports Camaro to a 6.424 at 217.67 in finishing runner-up. Goforth added wins over teammate Todd Hoerner and Brad Waddle on his way to the win. 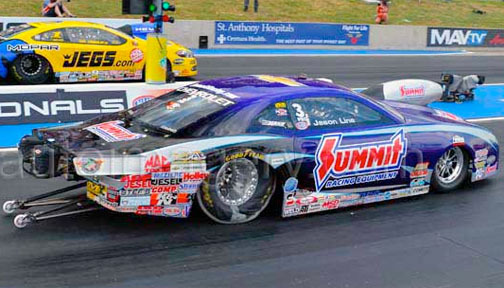 Line beat Anderson in the all-Summit car final of Pro Stock, running a 6.611et at 210.67mph for the winning effort. 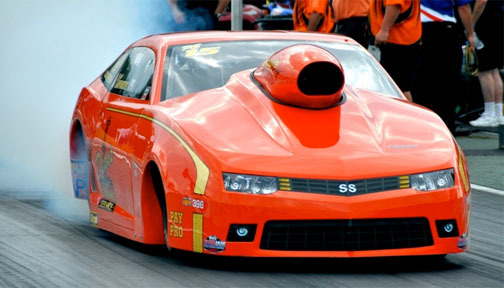 Anderson drove his Summit Camaro to a 6.608et at 210.54mph to end as runner-up. 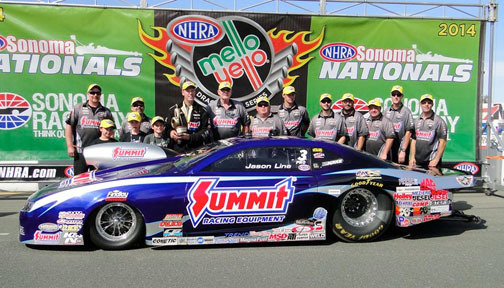 Jason Line also won the race last weekend in Sonoma, California - Congrats to KB Racing!!! A Big Congratulations to Kevin Bealko on his 1st IHRA Pro Stock Victory! Bealko finally broke through with his first career Mountain Motor Pro Stock victory Saturday night at the IHRA Nitro Jam Northern Nationals at US 131 Motorsports Park in Martin, Michigan. Bealko bested #1 qualifier and the quickest man all weekend, Scott Hintz, to collect his first career Ironman trophy! 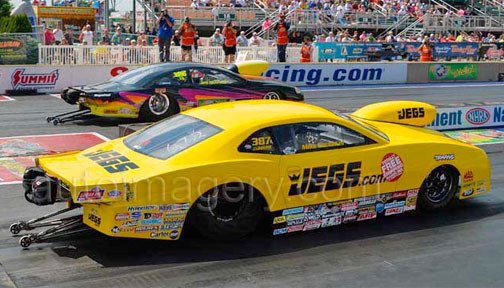 The Jerry Haas Race Cars Website is Receiving Some Great Updates! Stay tuned as we update and debut more page improvements. We will be adding NEW PRODUCTS, CLOSEOUTS and updating our GALLERY PAGES! Check back frequently for updates! 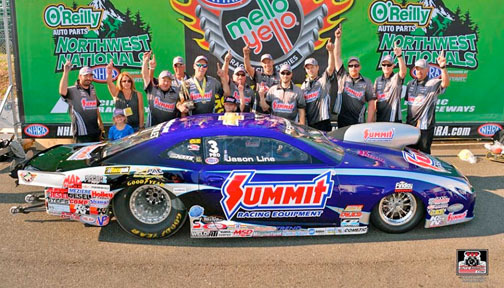 Jason Line Beats Teammate in Seattle Pro Stock Final! New Features and More Web Updates Coming Soon!